The original Fitbit Aria Wi-Fi smart scale launched about six years ago, and Fitbit finally got around to releasing a new version — the Fitbit Aria 2 — late last year. 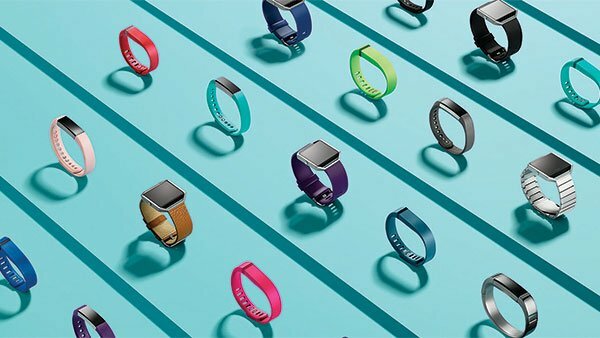 While new and shiny models are often very tempting, if you have an original Fitbit Aria you, probably want to know how the new one stacks up to see if it's worth shelling out more money. The most important question when pondering an upgrade to a new model, and in the case of the Fitbit Aria 2, the answer is not much. Just like its predecessor, the Aria 2 will measure weight, BMI, body fat percentage, and lean mass for up to eight users. Of course, all the data the scale collects will instantly be uploaded to your Fitbit account, and you'll have access to all the metrics hit on your iPhone or iPad with the Fitbit app. The physical appearance of the device has also remained stagnant, with the same black and white color options for the rounded square, glass top design. Even the LCD panel that shows all your information is the exact same size in the Fitbit Aria 2 as it was in the original model; however, the resolution is higher on the Aria 2. Some of the changes to the Fitbit Aria 2 are a few things you won't notice just by looking at it. Small details have changed between the two models, that you wouldn't notice just by a glance. The Fitbit Aria 2 can now support up to 400 pounds of weight, whereas the original could only hold a maximum of 350. Plus, it only takes two AA batteries to operate rather than three like the older model. The biggest change is how you set up the Fitbit Aria 2. Coming from personal experience, the setup for the original Fitbit Aria was clunky and a wee bit frustrating. You had to log onto your Fitbit account on a computer and use Wi-Fi to set up the scale. It was my least favorite part of owning an Aria. The good news is the Fitbit Aria 2 can be set up from your phone or tablet via Bluetooth instead of using the Wi-Fi process, meaning you can place it down where you want the scale to be in your home right away and get it up and running from there. If you already have an original Fitbit Aria, I don't think the changes the Fitbit Aria 2 brings to the table are worth spending another $129.95. If you don't have a smart scale at all and you're looking to get one, the Fitbit Aria 2 is still a solid choice. It has the entire robust Fitbit app, dashboard, and community that has been going strong for years, and if you already have another Fitbit piece of technology — like one of its fitness trackers — the Aria 2 is an obvious choice. Of course, Fitbit isn't the only manufacturer making smart scales nowadays, and you have several options to choose from that all offer a slightly different experience.